A one of a kind couple portrait love card perfect for anniversary, wedding or Valentine's Day. 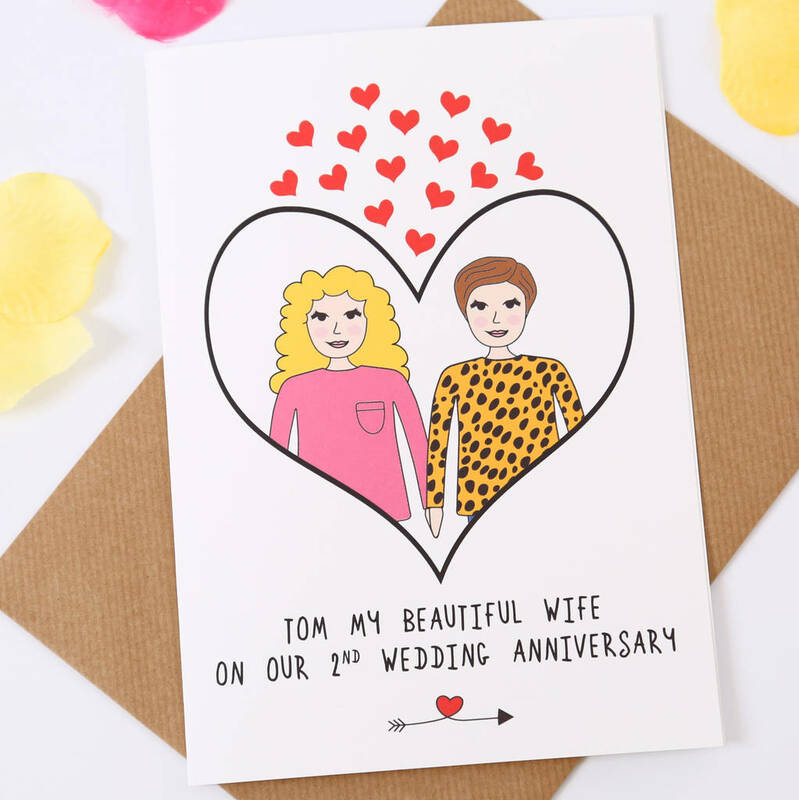 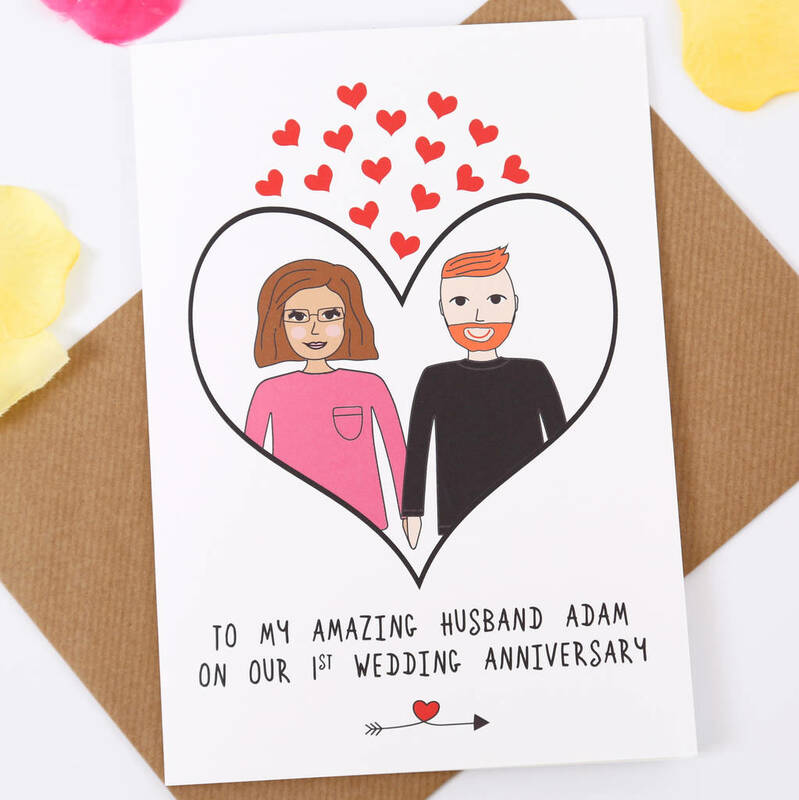 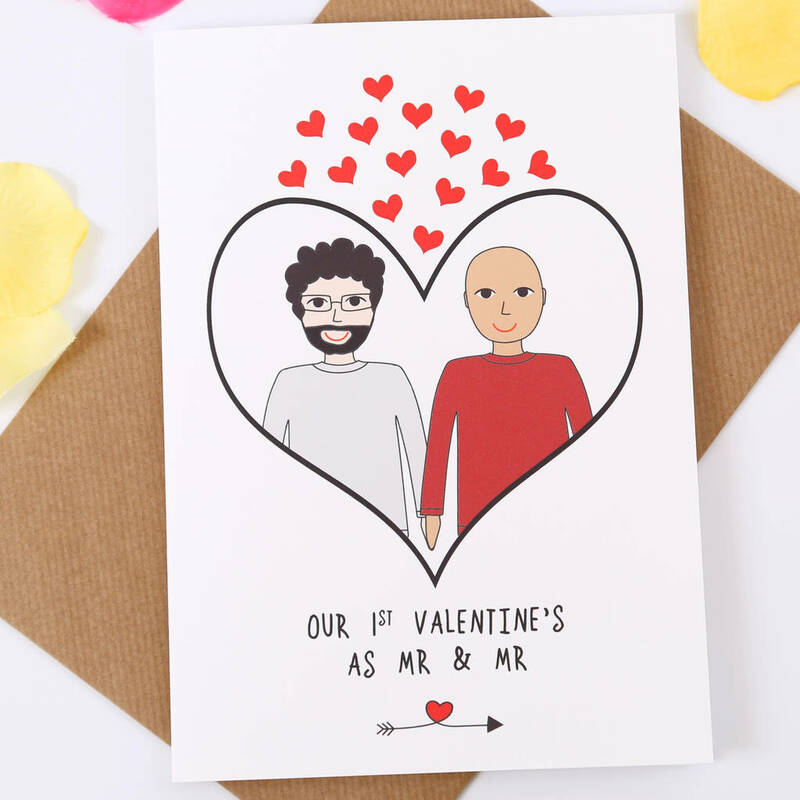 Beautifully printed with my hand drawn illustrations, this fun and romantic love card is guaranteed to put a smile on your favorite person's face and can be kept as a keepsake for years to come. 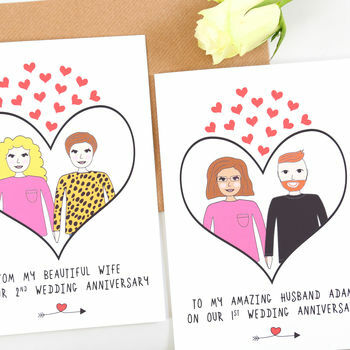 Surprise your loved one for Valentine's Day or your anniversary or give to a couple on their Wedding Day. 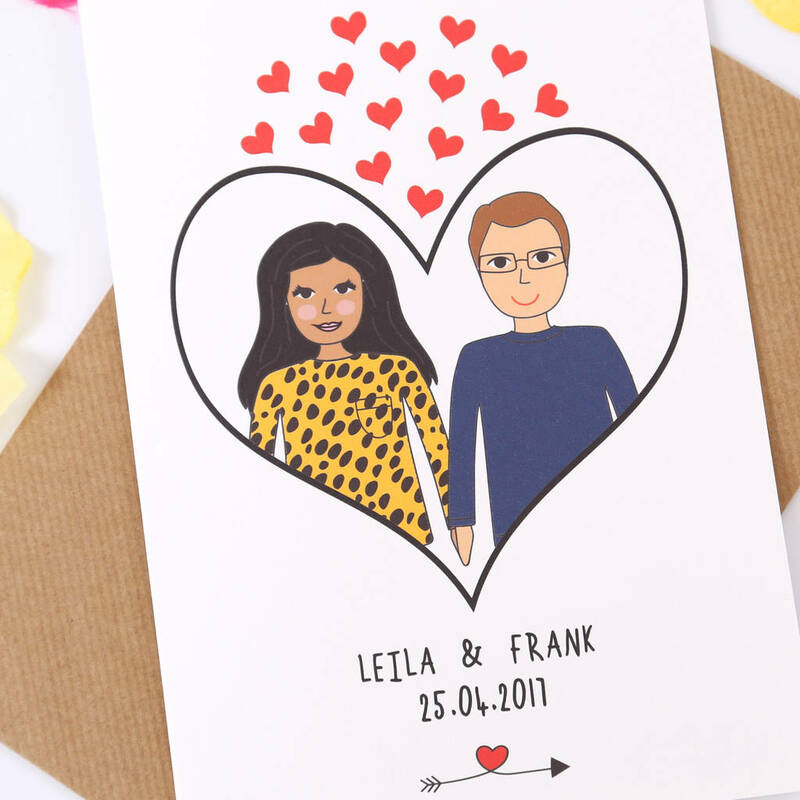 This couple portrait love can be personalised with a message of your choice at the bottom and with the couple's features. 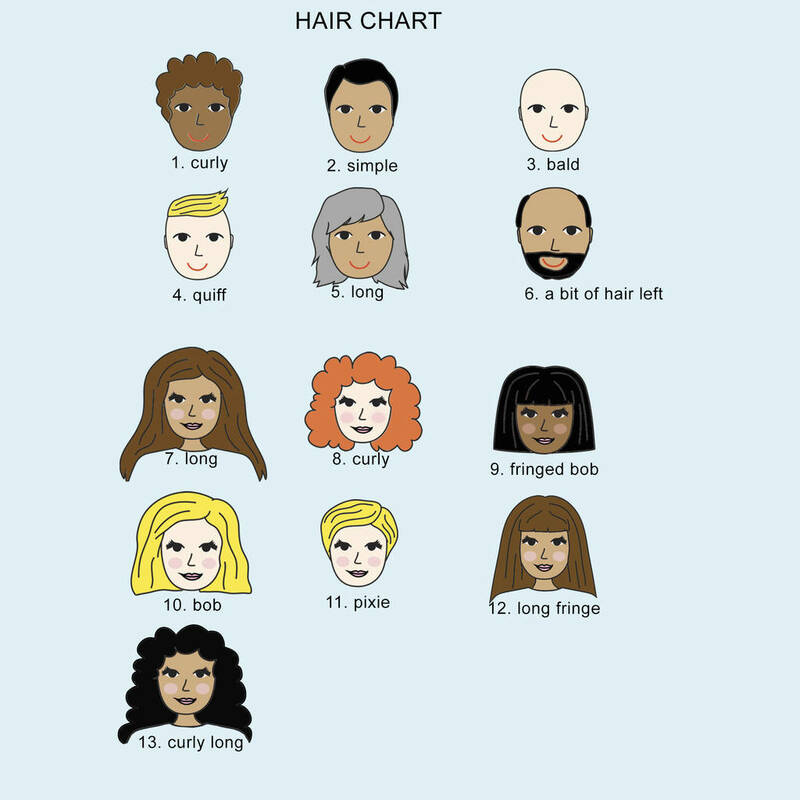 Please select the two people from the drop down menu and have fun personlising their features. 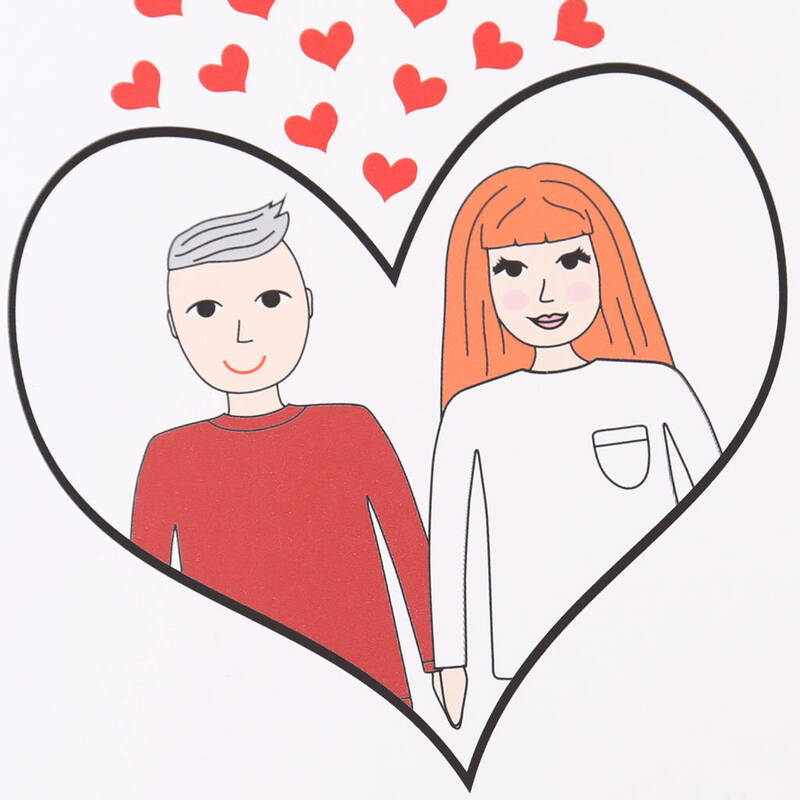 Choose the outifut's colour, skin tone, hair style and colour and then add your personal love message or name and dates.